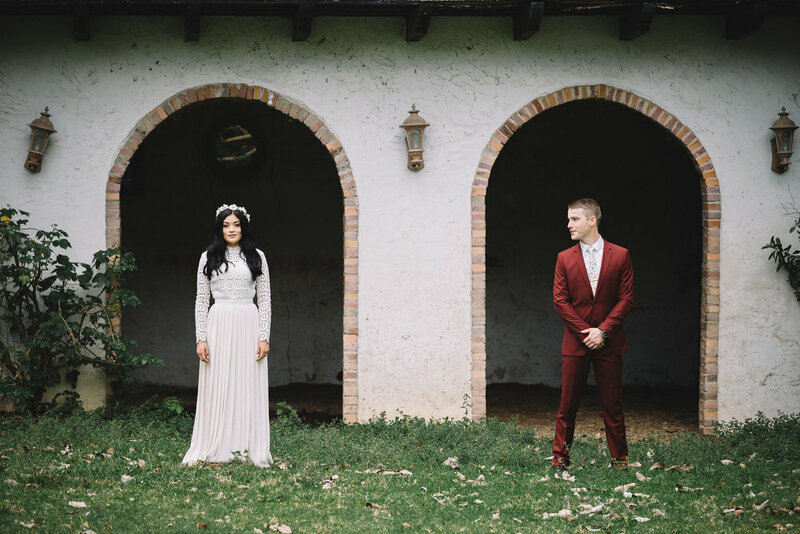 To say I am obsessed with the pictures from this wedding is an understatement. It's funny because this wedding had no decor, no formal reception, very few guests and the bride even did her own hair and makeup! This goes to show that even the simplest of affairs can create some major impact. Nicole and Jake saw each other once at church, but it wasn't until Nicole looked him up on Facebook and messaged him that they started talking, the next day Jake asked her out on a date. After a few years of dating, in 2016 Nicole wanted to cross off NYC from her travel list, so Jake surprised her that November with a trip to the big apple, and what better place to finally propose? "We had so much fun. I was waiting the whole vacation, thinking he would it. We even went on a romantic helicopter ride, and I thought for sure he would do it there. But he didn't! He was teasing me. haha The day before we left, he took me to Paley Park in Manhattan. There was no one around, and there was this beautiful waterfall backdrop. He talked to me and told me how much he loved me and wanted to be with me, and then he got down on one knee and asked me to marry him! In the middle of me bawling, I somehow managed to say yes!" 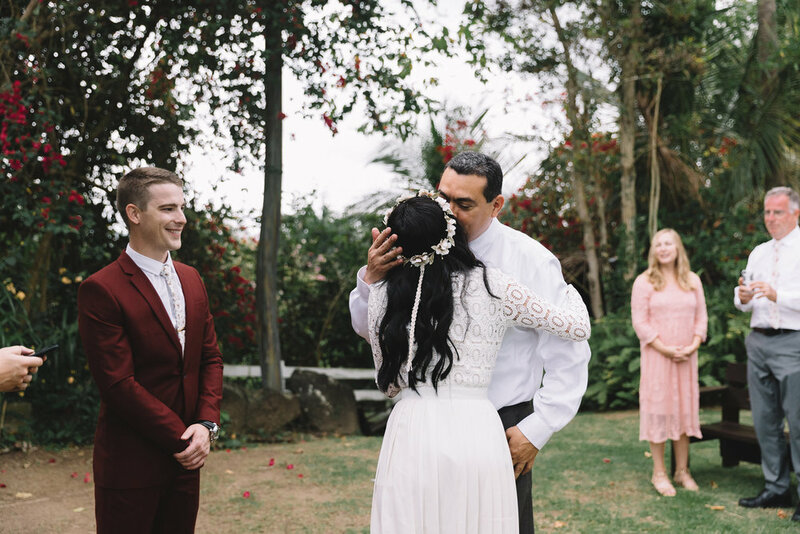 When it came time to start wedding planning from the very beginning they decided they wanted to do something small and intimate, just them and immediate family. They knew they wanted a tropical location, and after Jake's parents suggested Puerto Rico (neither of their families had ever been) Nicole started to do a little research on Pinterest. 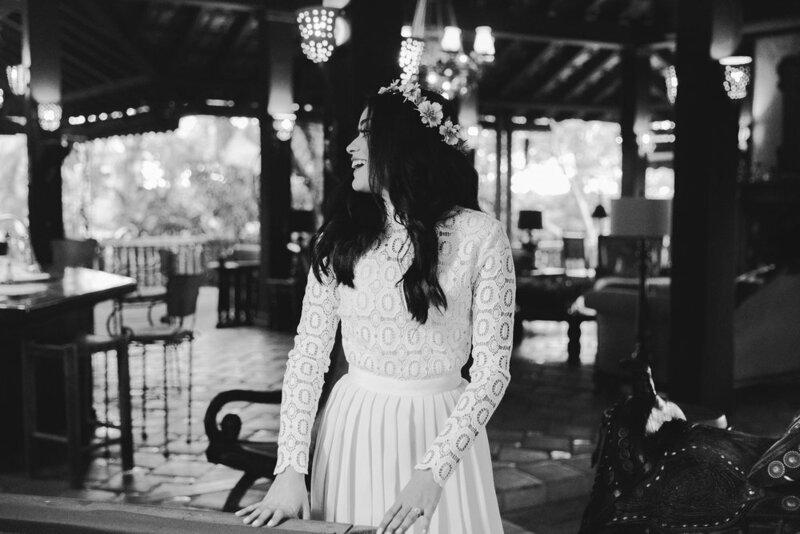 "I found this beautiful venue on Pinterest called Hacienda Siesta Alegre in El Yunque. And honestly, the place is so much more beautiful and breathtaking in person. It is an open ranch, but nothing but green . You are in the literal rainforest!" On their wedding day both the bride and groom where extremely at peace, so much so that they even went sightseeing on the morning of the wedding! "We woke up that morning, and decided we wanted to go sightseeing. We just wanted to enjoy the day and make it about us. After we even had time to go and nap before the wedding. Then we woke up and looked at each other and were like "Okay, I guess we'll go get married now. " We both got ready on our own. I did my own hair and makeup. And then we drove together to the ceremony. The overall feeling I could describe it as was peace. I felt so much peace going into that day. There were no nerves, there was no stress, I was just happy and excited, and I felt so secure about the decision we were about to make!"